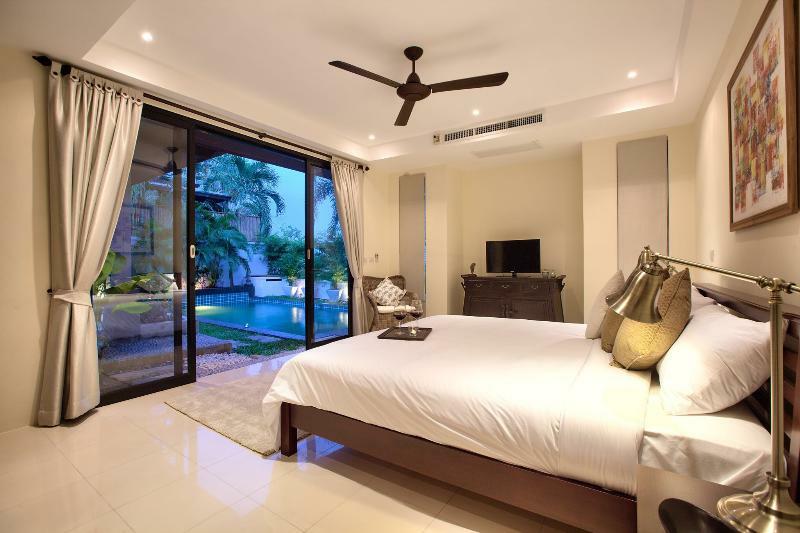 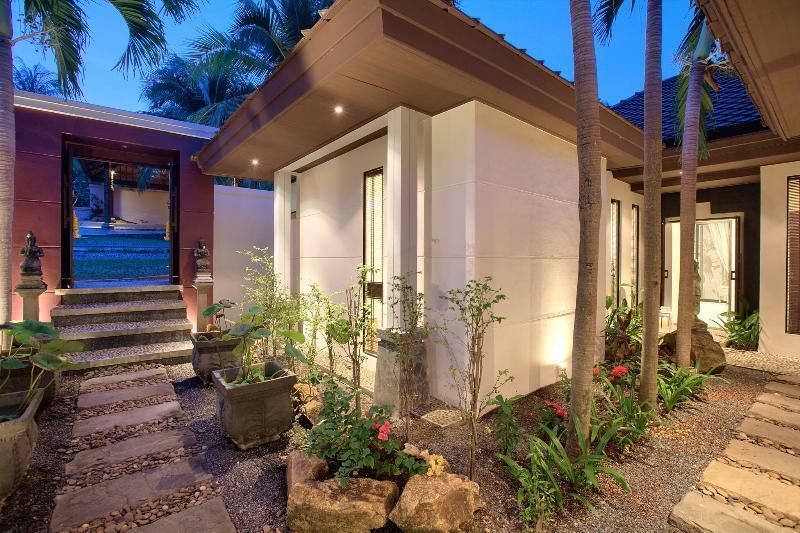 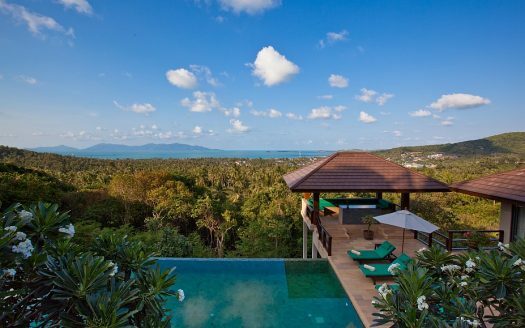 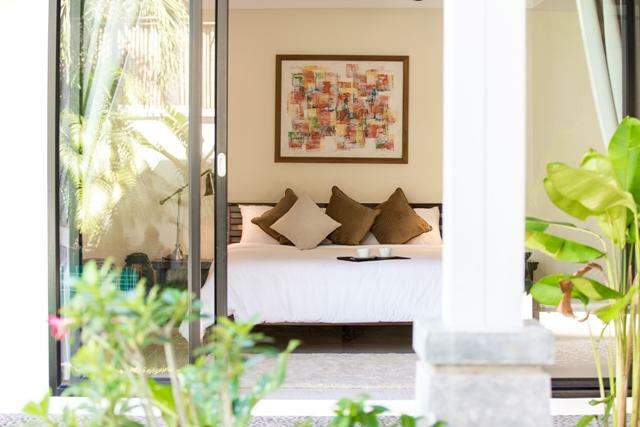 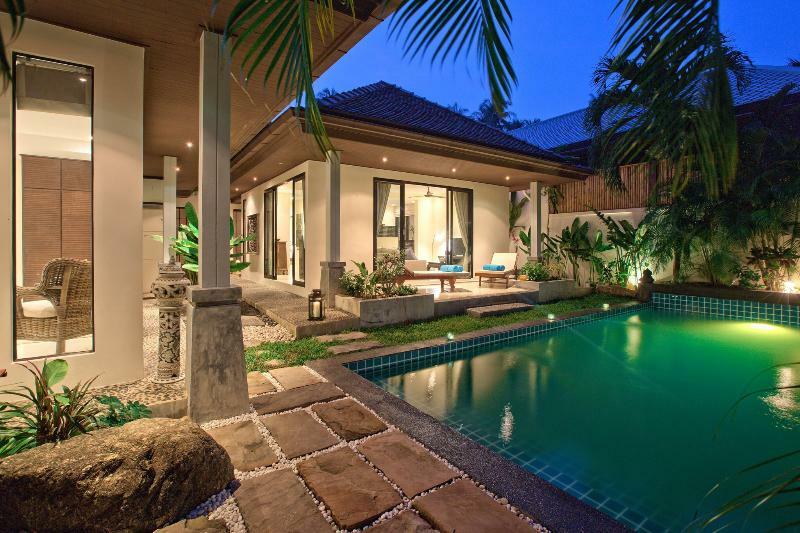 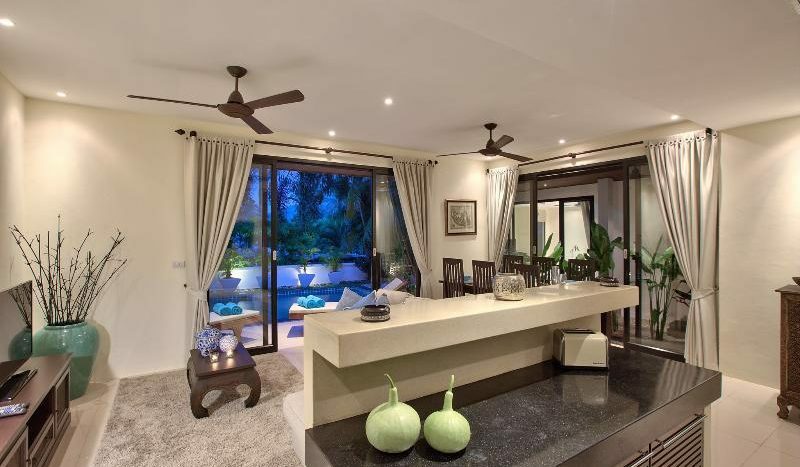 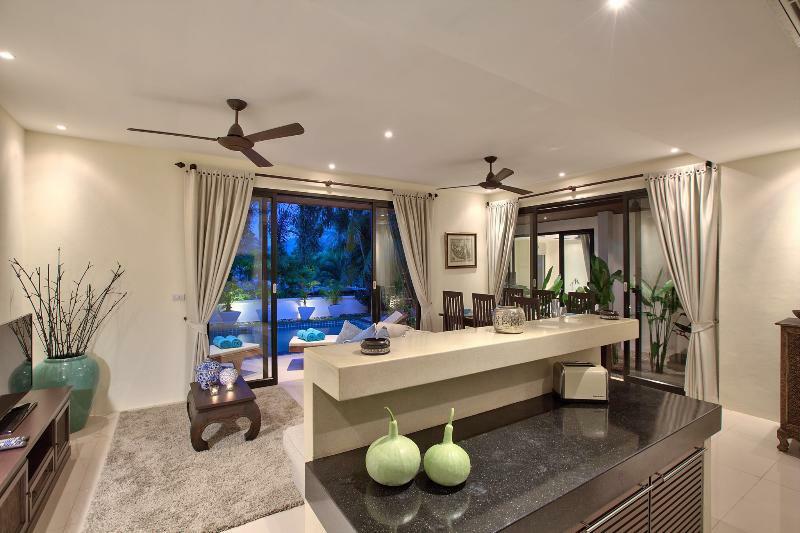 This 2-bedroom villa is located in Bo Phut hills on Koh Samui and is an ideal place to indulge yourself in the beauty of the island. 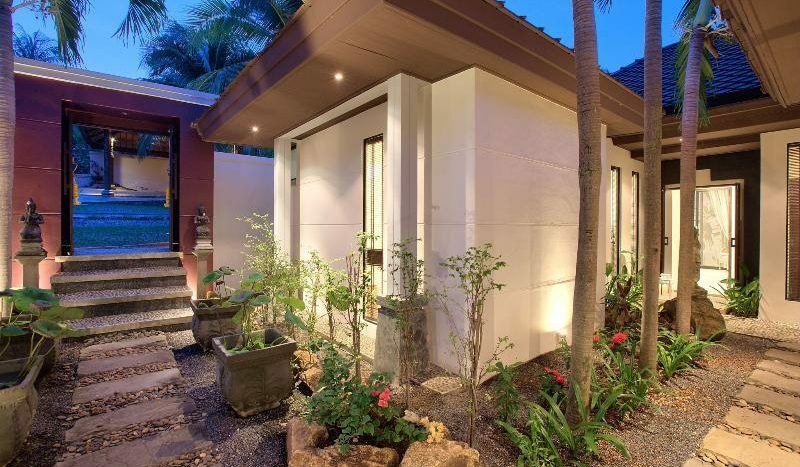 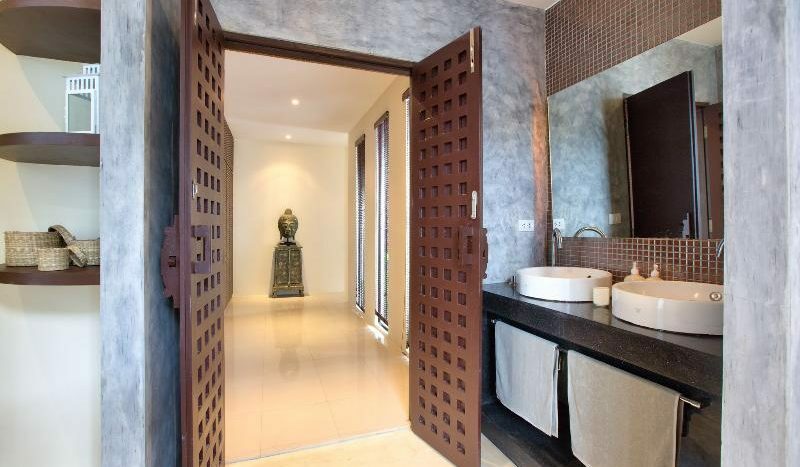 Built in Balinese style which perfectly with the nature around you. 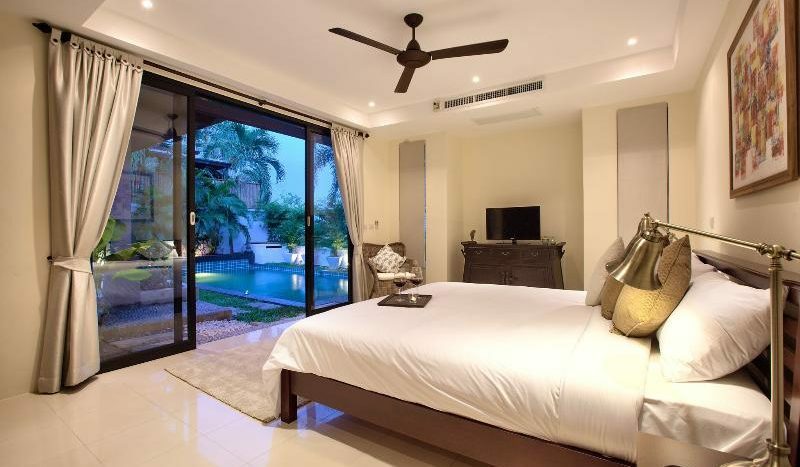 Each of the 2 king-size bedrooms is located on separate wings and offers privacy to all the guests. 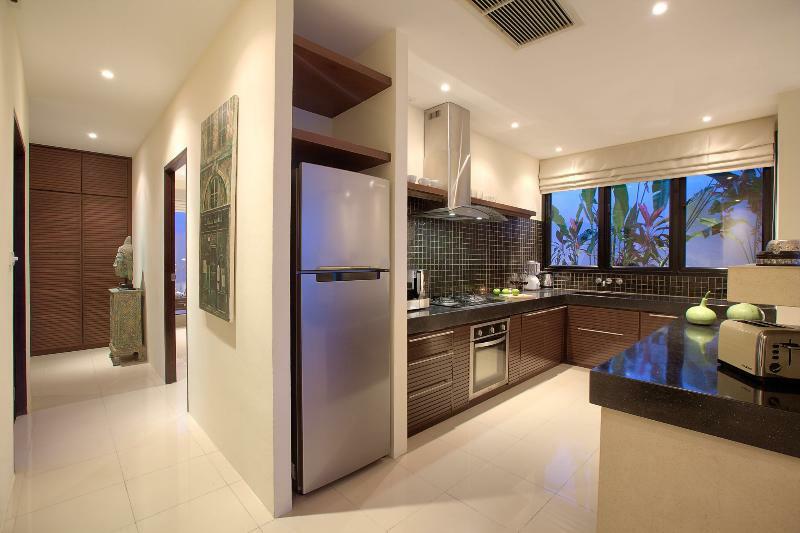 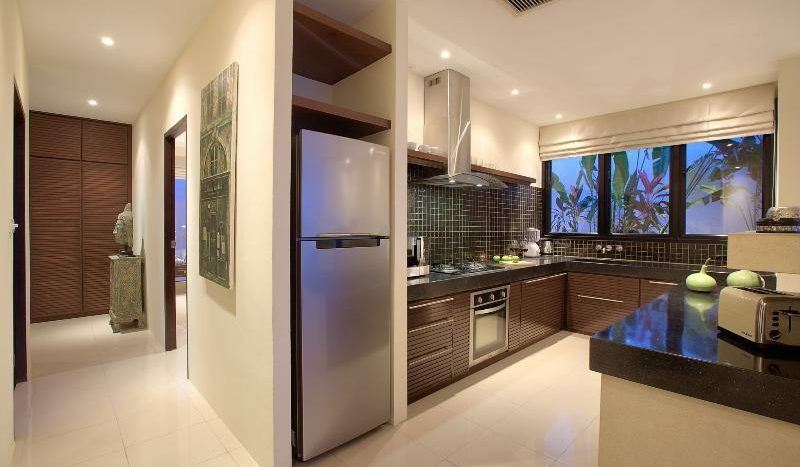 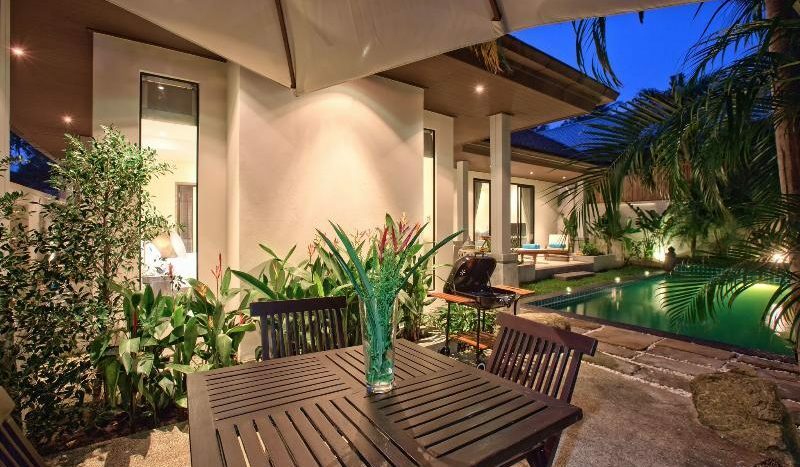 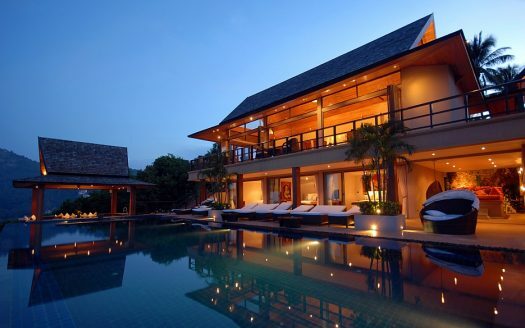 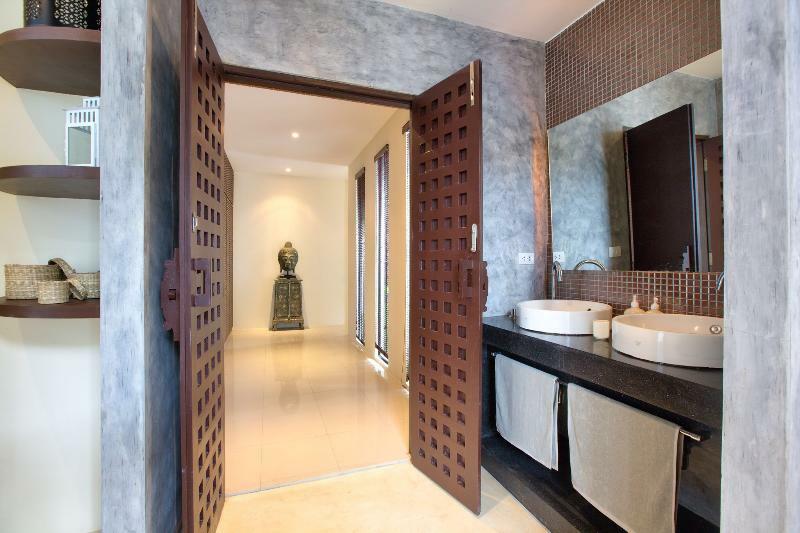 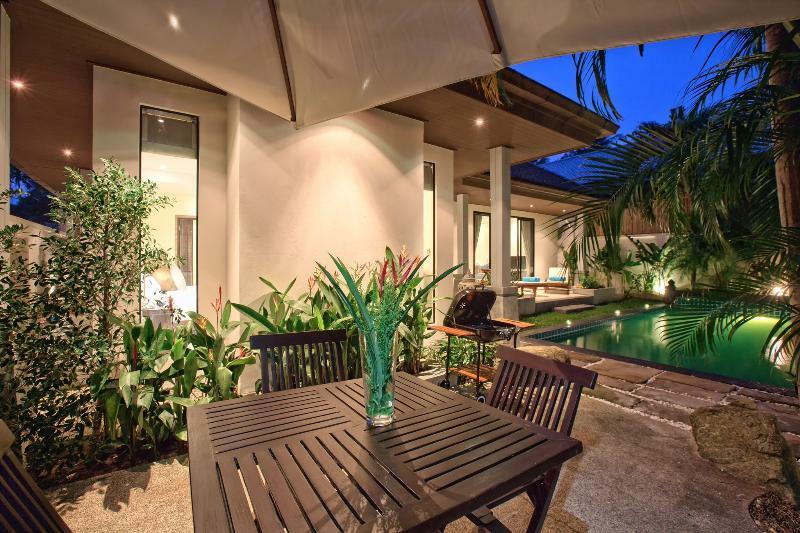 Villa Lavanya is tastefully furnished and decorated to highlight its Balinese style. 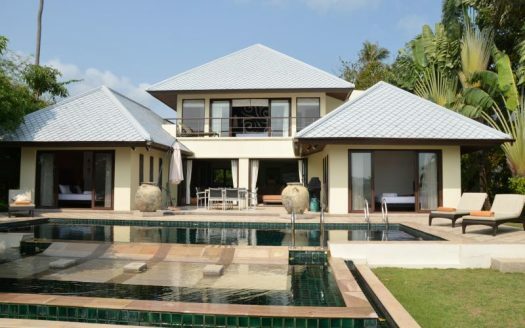 Here you can enjoy all your favourite holiday activities: lazy swimming in the beautiful pool, playing golf on one of the three Koh Samui’s excellent courses, go crazy with the island nightlife, spending time shopping shopping in nearby Chaweng, taking a quick trip to the Fisherman’s Village, or relaxing on the 2km-long white sand beach of Bo Phut. 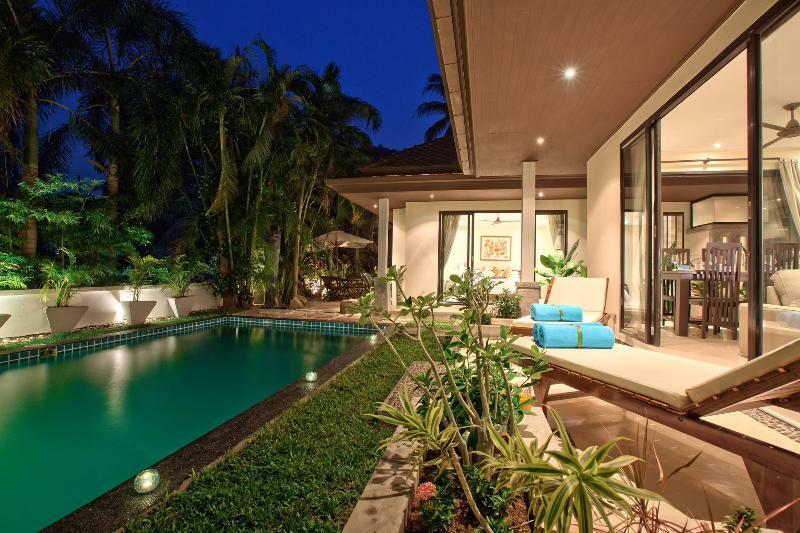 Price: $ 180 / day min.